Bubble Football, Budapest’s latest madness! Bubble football is currently all the rage around the world! Originating from Norway, the game involves two teams getting into man-sized, transparent balloons and playing soccer without rules or penalties. It started out as a joke on local television but quickly gained popularity among the public as a silly yet exciting sport. Ideal for stag parties and team building trips, bubble football combines your love of soccer with the safety and hilarious looks of being surrounded by huge inflatable bubbles - nothing compares to body slamming your opponent resulting in both of you bouncing around uncontrollably. Although one of the things that make bubble football so attractive to most audiences is the freedom to do whatever crazy thing you want without the risk of hurting yourself, it's not all fun and games. The use of the bubbles has a few limitations such as age, height and weight. Also, playing is not recommended for people who are drunk or pregnant as repeated collisions and bouncing around in the bubbles can cause serious dizziness and disorientation - and we wouldn't want you to throw up inside the new clean bubbles, would we? You can find more details about the limitations, do's and dont's of the game in this article answering the most frequent questions that arise when wanting to play bubble football. 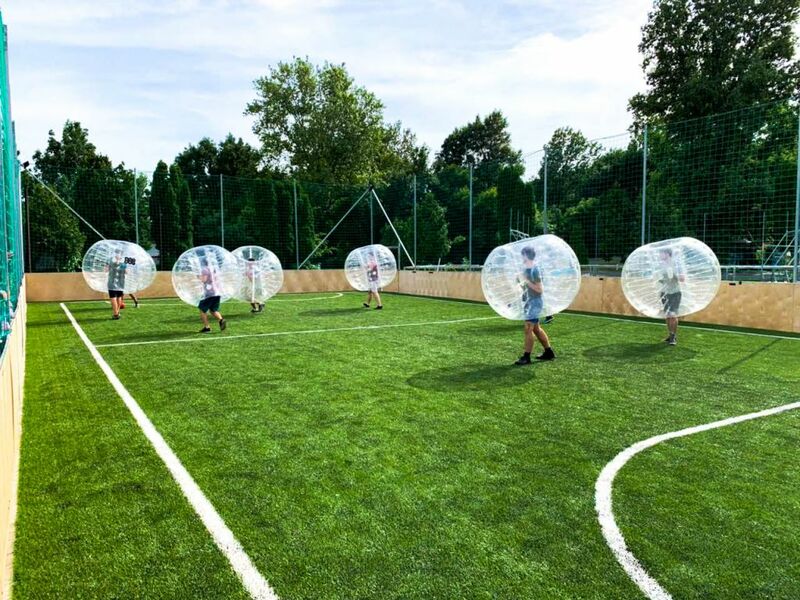 Now Bubble Football arrived to Budapest and is available for you to try at a variety of football pitches around the city! If you're interested, you can read more about bubble football in Budapest and reserve your game through this site. Don't hesitate! If you fancy something mad this summer, get ready to experience football like you never did before. Try bubble football in Budapest, you won't be disapointed, trust us!